What do recruiters see when they look at your resume? As Business Insider previously reported , eye-tracking technology indicates that recruiters spend only six seconds making their initial judgment. So you want to make sure you get it right. Jessica Pointing, a Harvard junior who won internship offers from companies like Google, Apple, Facebook, Microsoft, McKinsey, Bain, Goldman Sachs, and Morgan Stanley, previously told Business Insider how to make your resume error-free and all-around stellar . Here are some of her ideas for how to take your resume to the next level. Be specific: "Include how you impacted the company or organization you worked for," Pointing says. "This is important because many people only describe their past jobs. What's more important is demonstrating how you contributed to that job." 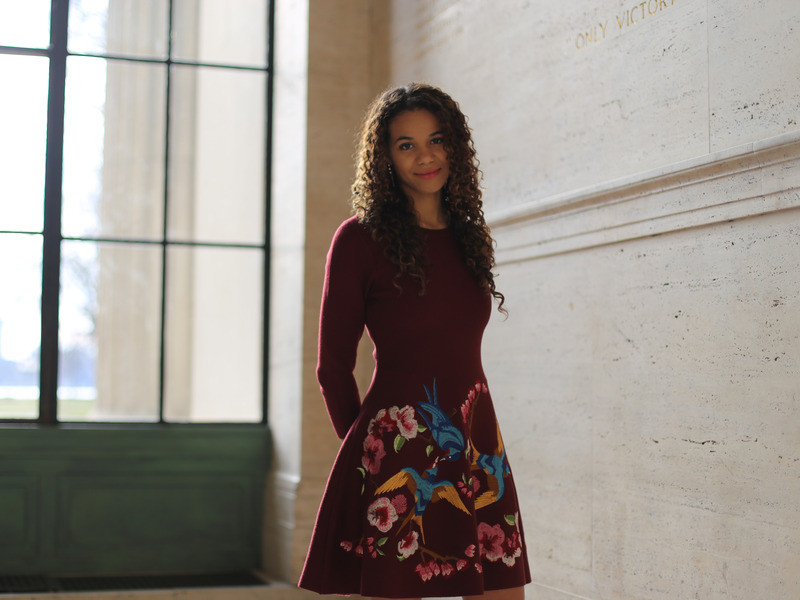 Throw around numbers: "It's important to quantify your achievements when possible," she says. "For example, if you saved the company $10,000, include that number instead of saying, 'I was an exceptional employee.' Including something tangible, concrete, and quantifiable really helps." Use action verbs : "For example, instead of saying 'I made a new program that increased conversion rate,' you should say 'Initiated a new program that increased conversation rate by 20%,'" Pointing says. 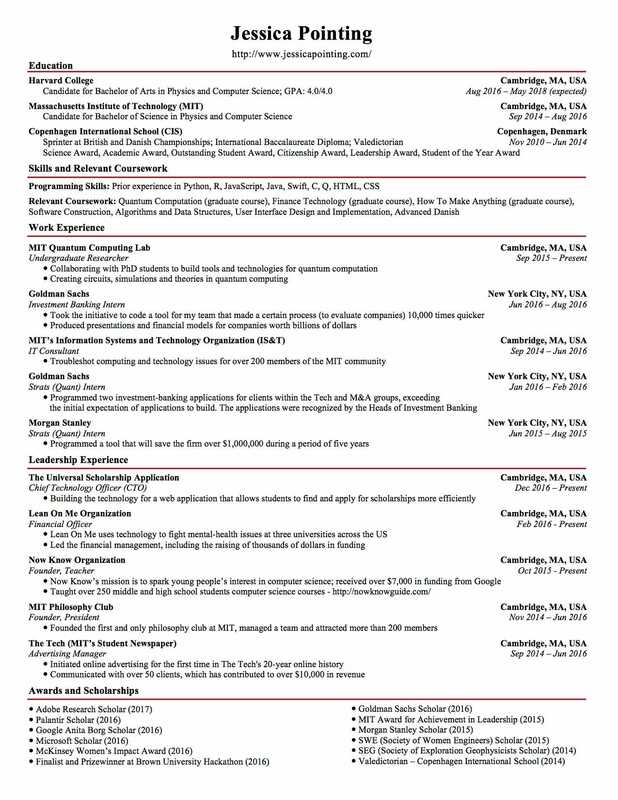 Pointing, who posts career advice on her website, the Optimize Guide , shared her own resume with Business Insider. Here's a generalized version of her CV that impressed some of the biggest companies in tech, finance, and consulting.